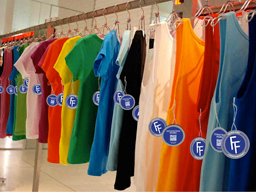 Fair Fashion World » What Is Fair Fashion? 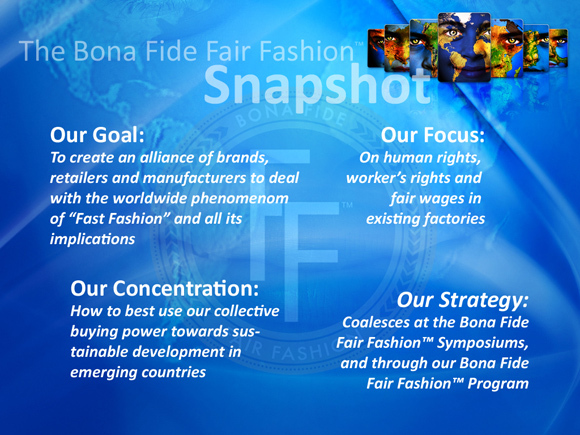 Bona Fide Fair Fashion™ is the first initiative to bring industry to the table in a new and different way to collectively strategize investment in developing countries towards sustainability in addition to profitability. Focused on developing substantial, concrete outcomes, Bona Fide Fair Fashion™ is an investment—in fashion, in business, in humanity. This investment depends on the Global Sourcing Specialists and other industry leaders who can directly affect profitable, ethical change. Bona Fide Fair Fashion™ offers the process and the platform by which we create concrete, win/win solutions for the entire supply chain thru our unique Bona Fide Fair Fashion™ programs. Only through global solutions will real and lasting change be possible: The Fashion Industry must lead the way.